For those of us who love to ski, ice skate, go sledding and make snowmen, winter weather brings lots of outdoor fun but it also brings some safety concerns for dog owners. Caring owners realize that winter presents additional challenges to their pets. Follow these cold weather care tips to keep your dog happy and safe. 2. If you usually keep your dog in a short trim, let his hair grow a bit longer in winter. Keep it well brushed. It’s a dog’s way of layering. 3. Short- or smooth-haired dogs may mind the cold more than our bushy dog breed babies, so they really do need a sweater or coat to be comfortable. Boots are also available. 4. Long-haired canines should have the excess hair around their paws trimmed to ease snow removal and cleaning. At the grooming salon, we usually shave out the footpads with a #10 blade to get rid of dirt, ice balls, sand and debris. If you do this job at home when you trim your dog’s nails, be careful not to cut the dog’s pads while you’re at it. 5. Keep your dog warm, dry and away from drafts. Towel or blow-dry him if he gets wet from rain or snow. Dry and clean his paws too. 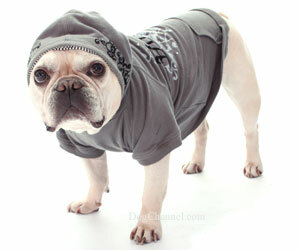 In the colder months, be sure to dry your dog completely after bathing before letting him go outside. 6. Adequate shelter is a necessity. Don’t leave your dog outdoors for long periods of time. Remember that the wind chill factor makes days colder than the actual thermometer readings. 7. Frostbite is a winter hazard for dogs as well as humans. Most susceptible frostbite areas are dogs’ ears, tail and feet. 8. Be extra careful when walking or playing with your best friend near frozen lakes, rivers or ponds. Your dog could slip or jump in and get seriously injured and your own safety would be at risk if he fell through the ice. 9. If your dog spends a lot of time outdoors or is a working animal, feed him additional calories; it takes more energy to keep his body temperature well regulated in the winter. 10. Don’t leave your dog alone in the car without proper precautions. If the engine is left on, the carbon monoxide could endanger his life and, if it’s left off, the car will get too cold for comfort. 11. Provide plenty of fresh water. Your dog is just as likely to get dehydrated in the winter as he is in the summer and eating snow is not a satisfactory substitute. Left outside, water can freeze within an hour when the temperature drops below freezing. Many pet stores carry heated bowls for water and food. 12. Dogs can lose their scent-sensing ability in snow and ice so keep your pet on a leash when you are outside and it is stormy. Make sure he’s wearing ID tags with your current info in case he gets lost. Microchipping is also a great way to make sure your dog gets back home if he should wander off and end up at a shelter. 13. Rock salt used for melting ice may irritate your dog’s footpads. There are now pet-safe ice melting products widely available for use on walks, steps and driveways. Just to be on the safe side, rinse off your dog’s feet when you return from a winter walk outside your yard. 14. Tiled and uncarpeted floors may become extremely cold so during the winter so place blankets and pads on your floors in these areas. 15. A soft place to sleep will also prevent calluses from forming, especially on short and smooth-haired pets. Large dogs are more susceptible but any dog that sleeps on hard surfaces can get them. Although they are mainly considered a cosmetic problem, they can develop into pressure sores or skin infections. 16. Some of the household products we commonly use in winter are dangerous to our dogs. Antifreeze smells good and tastes sweet to them but it’s highly toxic. Less than 4 teaspoons can be lethal to a 10-pound dog. If you suspect your dog has consumed antifreeze, it is imperative to contact your veterinarian or the ASPCA Animal Poison Control Center (1-888-4-ANI-HELP) immediately. Please note, there is a fee for contacting the poison control center.